Food is one of the universal languages of bringing people together. Every culture across the globe shares some tradition or another centered around a table and a meal. Interior design has its own language rooted in – believe it or not – problem solving. As an interior designer in the hospitality industry, surrounded by my teammates (aka “foodies”), I am constantly in search of restaurants that best marry their menus with a uniquely designed interior. Two of our favorites, Coco and the Director + Stoke and Haymaker, have developed some of the best dining venues in the Queen City. Thanks to our food friends, we have the inside scoop on the inspiration and processes of these community-focused venues. 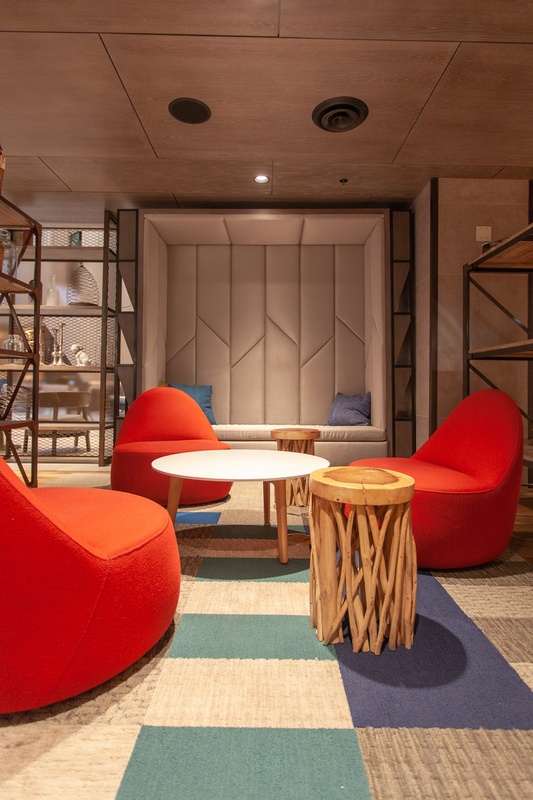 Inside of the Marriot hotel uptown, you’ll find a modern, eclectic, and energizing coffee shop alongside a restaurant with a penchant for craft cocktails and a showcase of culinary dining. For designers and foodies alike, this boutique-styled coffee shop has everything we hope to experience and taste; something out of the ordinary with a fresh new vibe, focused on innovation and originality… not to mention the nod to local companies! 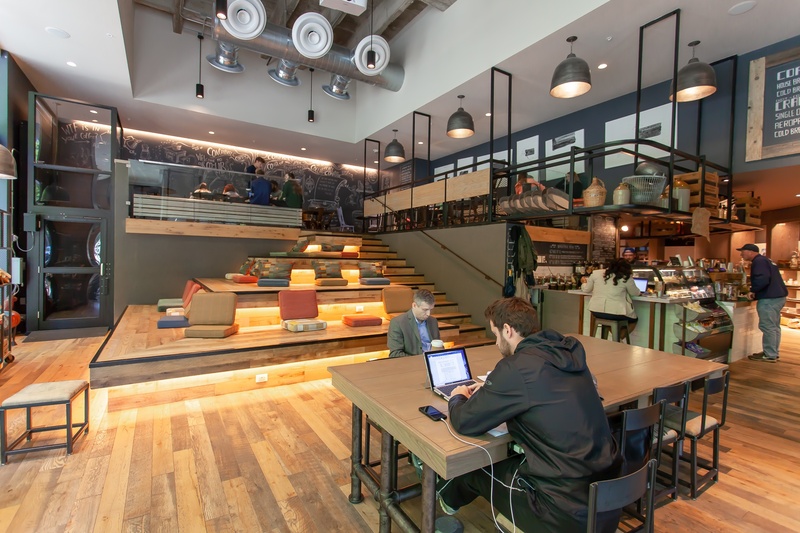 The dynamic stadium/loft seating, scrumptious local pastries , and overall eclectic aesthetic of modern and rustic elements. Following a similar suit and building upon the value of community, the idea behind Stoke is meant to evoke feelings of nostalgia and camaraderie. The wood-fired oven plays a key role, transporting guests back to a time of relaxing by the fire and enjoying a good meal without the everyday distractions. The centralized kitchen in the dining space is a masterpiece of a focal point. Whether your popping in for a cocktail (or two) after work, or grabbing some delicious food after the gym, the relaxed and laid-back space won’t make you think twice about walking through the doors. Our newest design restaurant obsession is barely over a week old! 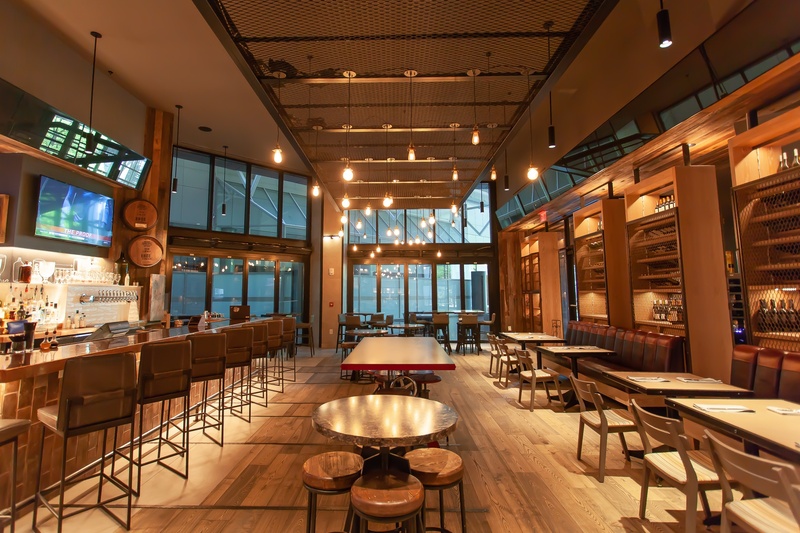 Located uptown – just across from Romare Bearden Park – sits the dining oasis: Haymaker. The building’s 26-foot-high front-facing windows offer more than just a peek if you happen to stroll by. This exterior will give passersby a direct view of the stunning, open kitchen and inviting U-shaped bar – purposefully conceived and designed to pull onlookers into the culinary action. Not many restaurants have such a lush and urban view at their disposal, so it’s no surprise that it resonates as a significant interior feature. 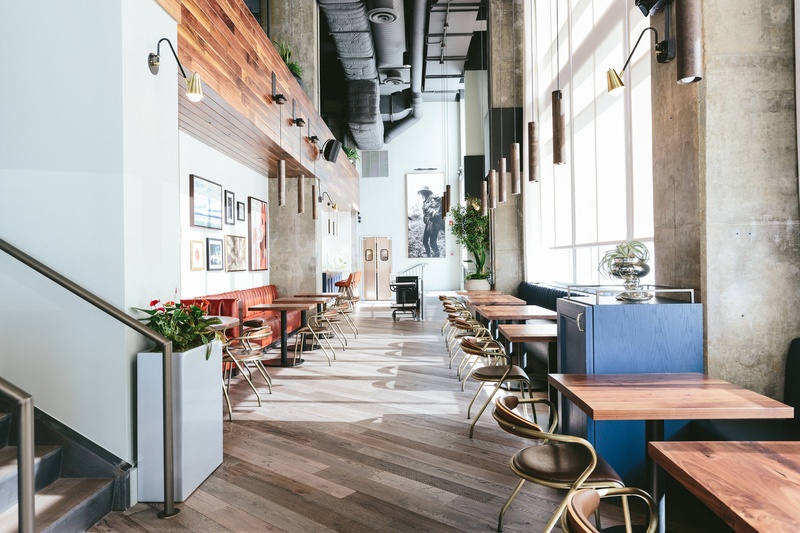 The abundant natural light fills the two-story restaurant, reflecting off the concrete and wood surfaces, creating a welcoming space with its modern materials blended with touches of retro-inspired furniture and lighting. Three key phrases to describe the parallel between the menu and the interior from Haymaker’s owner: hand-made, craft-driven, and attention-to-detail. These core elements are best showcased by the space’s flooring transitions, meticulous millwork with book-matching details, hand-crafted furniture, lighting design and placement, and finally the flawless cohesive design beginning at one level and elevating to another. 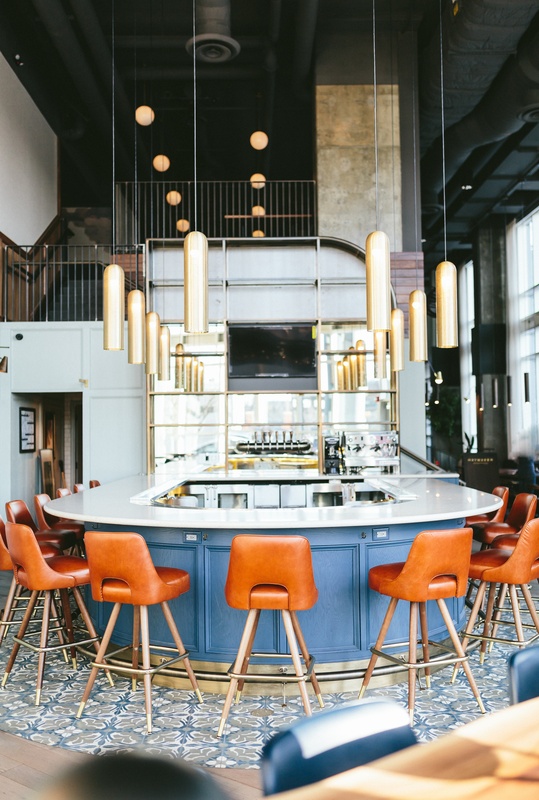 A special thanks to Sean Potter, Director of Eat and Drink at Charlotte Marriott Center City, William Dissen, Owner and Chef of Haymaker, for your insight and input for this feature!